The MBP-100CK is a high performance chroma keyer with FOR-A's unique algorithm. Virtual processor with multi-format (3G/HD) support. Superior chroma keying backed by innovation. 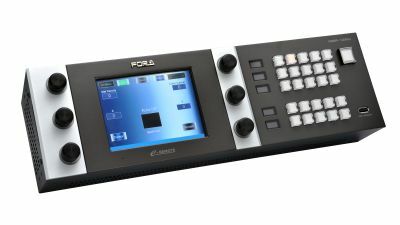 The DSK-400 is a 4K (UHD) keyer with 12 inputs and 8 outputs for 3G-SDI. Add DSK-400CK for 4K chroma keying.